I know the intervals between my posts are rather long and therefore, I have to thank you my dear readers for your kind support and encouraging comments. I have some compulsions due to which I am not able to post at shorter intervals. I will not bore you with the details of my compulsions but come straight to the point. 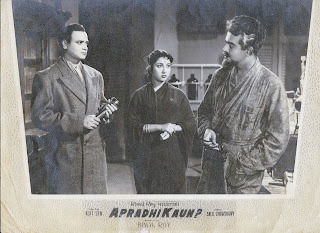 I did say that I will now talk about the films produced by Bimal Roy but not directed by him, I think it is only right that I start with Apradhi Kaun – my father’s first film. Apradhi Kaun was based on a story by Bengali writer Premendra Mitra. Today I am feeling a little helpless because neither my mother nor anyone connected with Apradhi Kaun is around, so I have to dig deep into my memory. My brother happened to inform me that as far he remembers the film was originally supposed to be named Kaali Chaya, this bit of information triggered my memory. The name of the Bengali novel on which the film was based is Kaalo Chaya and a Bengali film by the same name was also made and after a quick search on the internet I also learned that the film was directed by the writer Premendra Mitra himself. Bimal Roy decided to to step back and give a break to his assistant, Asit Sen. Asit Sen, who went on to become a comedian, did not, however, direct too many films after this one. I am told that Roy used to be very much around during the making of the film. 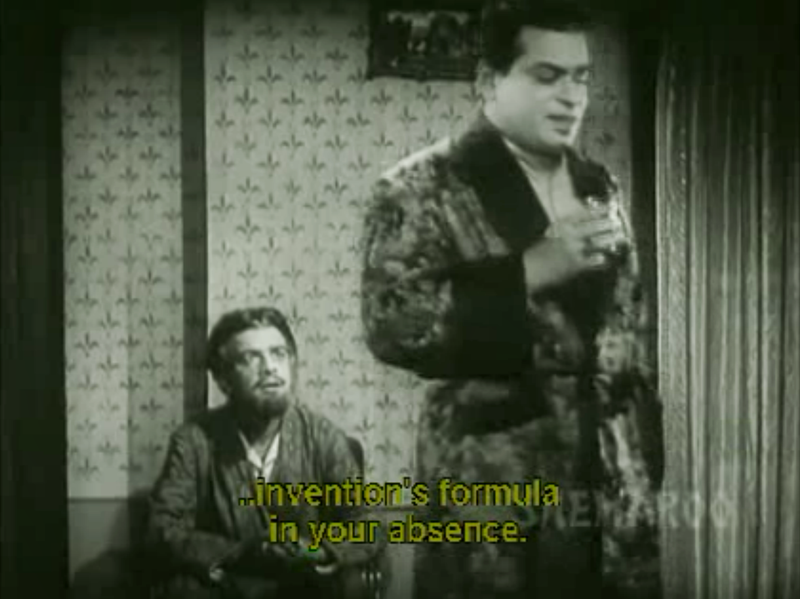 This was not what you would call a typical Bimal Roy film. It was a suspense film- a whodunit- and it also had the usual ingredients like a comedy track but when I watched the film recently I quite liked it. Actually, I love suspense films particularly those where you are not able to guess the identity of the murderer, besides where do you get to see suspense films nowadays. The film’s story briefly is about two brothers Dinanath and Shreenath (Gajanan Jagirdar in a double role), both sons of Yogeshwarnath. The film opens with a disheveled, limping, partially paralysed Dinanath returning to the family home after a long time. 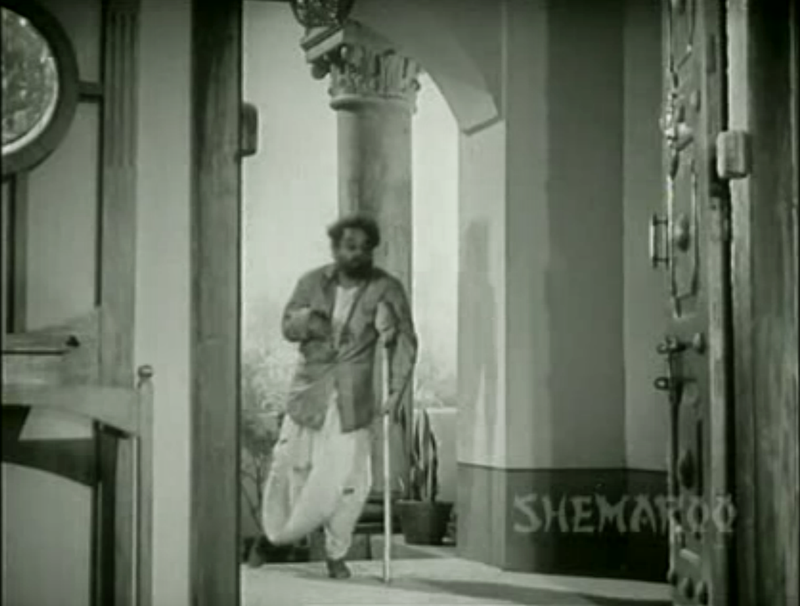 Shreenath, his younger brother, who has now taken charge of the family property and the wealth after their father's death is surprised to see his brother. As the story unfolds you learn that Yogeshwarnath had three sons Dinanath, Shreenath and Pitamber. 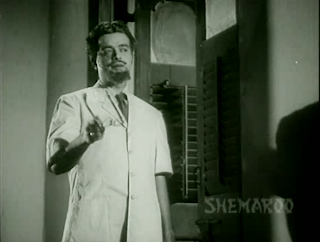 Dinanath was an idealist who did not like the way his father made money, so he had left the family home in disgust. Pitamber had married a woman of his choice much against his father’s wishes His father threw him out of the house. In the meanwhile Shreenath instigated his father and managed to get his father to will his entire property and wealth to him. However, Yogeshwarnath realized his mistake and later changed his will and this time willed everything to Dinanath and Pitamber. 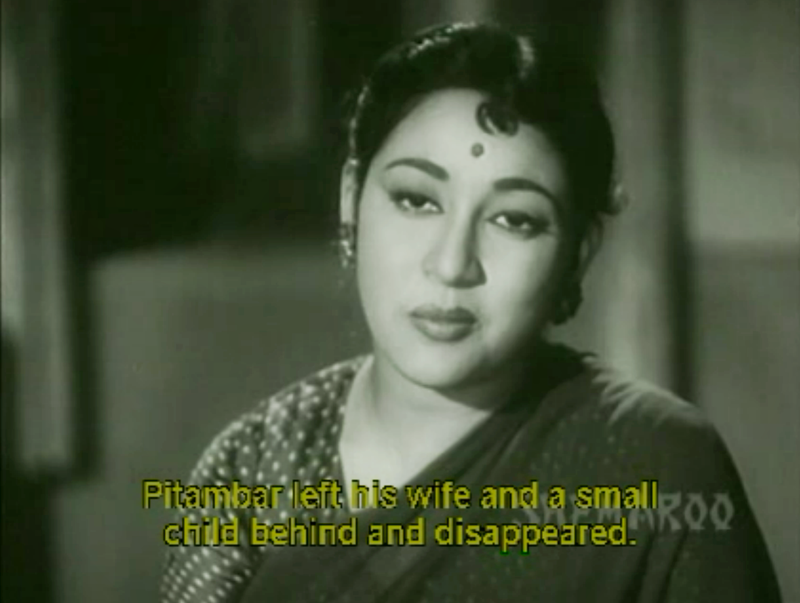 Pitamber who has a daughter has disappeared and nobody knows anything about his whereabouts, but with the sudden appearance of Dinanath, Shreenath is worried. The new will is with Rai Bahudur Jankidas (Murad), a worried Shreenath approaches him but Jankidas wants his pound of flesh that is about a lakh or two for the will (remember this is 1957 and a lakh or two was a huge amount those days). and during the struggle Shreenath ends up killing Jankidas. Shreenath knows that it will not take long for the police to connect the murder to him and is nervous about being caught. Private Investigator Rajesh (Abhi Battacharya) receives a call from Shreenath asking him to come to his aid as he (Shreenath) feels someone is out to kill him. 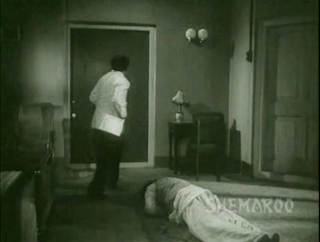 However they find Shreenath lying dead, obviously he has been murdered. There are several suspects, for many people have a motive for murdering Shreenath. There is Dinanath who had much to gain from Shreenath’s death and who had also been cheated by his brother. Then there is Shreenath’s manager whom Shreenath had accused of embezzlement and had even threatened to hand over to the police. 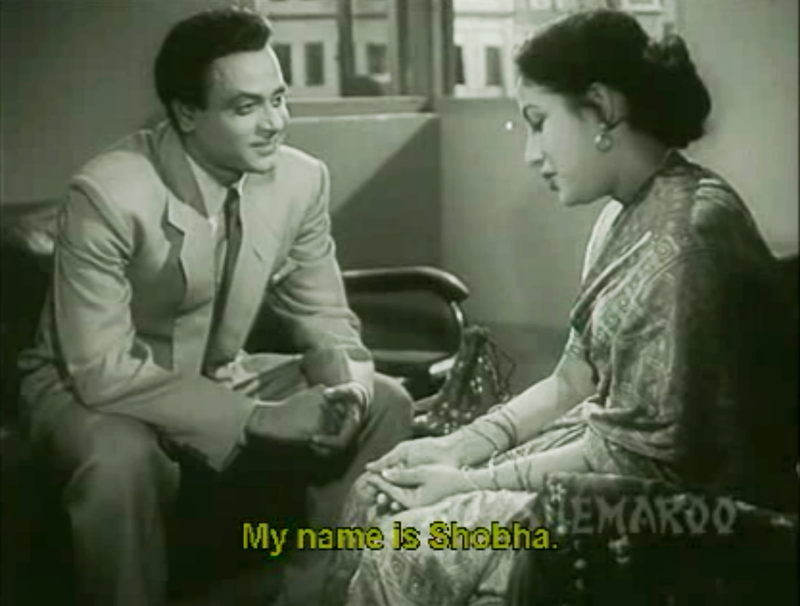 The next suspect is Shobha (Mala Sinha) who is working as a sort of a nurse at Shreenath's house. She had earlier approached the private detective to help her steal something from Shreenath’s house. 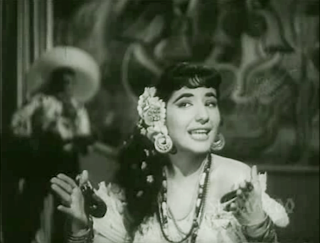 Lily the dancer who had a close relationship with Shreenath. There is also Shreenath’s doctor (my father). He lived with Shreenath not only to take care of his health but he also did research. Shreenath funded his research. When the doctor developed a breakthrough medicine, Shreenath wanted to patent it and make money much to the anger of the doctor who wanted a share of the profits. 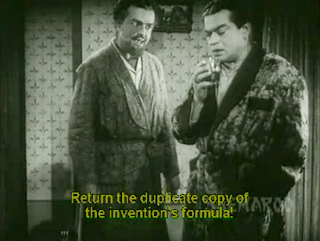 Besides Shreenath had also stolen the formula in the doctor's absence. To add to all these problems there is someone clad in black, completely covered who keeps appearing in the house after Shreenath’s death. This mystery person is referred to as Kaali Chaya – Black Shadow. I wasn’t around when the film released, I had seen it long ago on cable TV, but had forgotten the story. 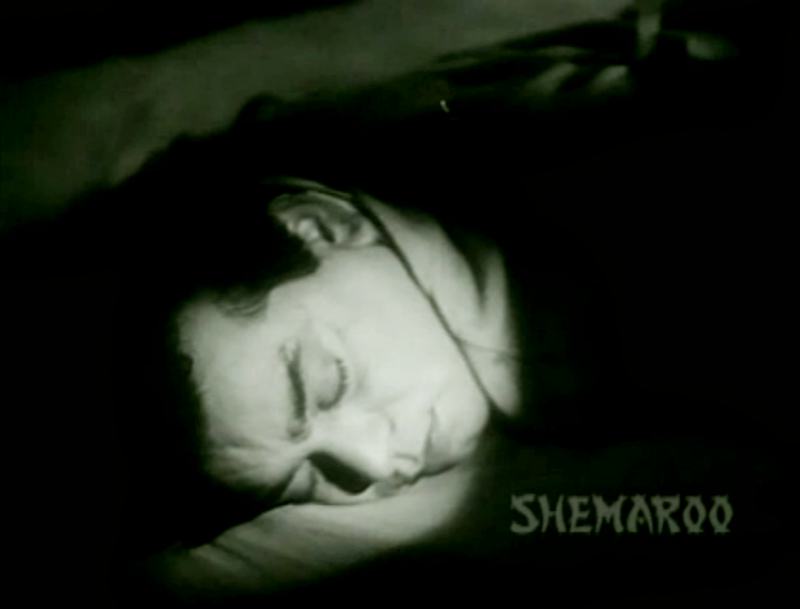 Recently I laid my eager hands on the film’s DVD and finally saw it once again and the end came as a surprise. I also found my father quite comfortable in front of the camera, it did not seem like he was facing the camera for the first time. Originally my father was to play the role of Pitamber but the idea was discarded. Throughout the film you see my father with a disfigured face. The disfigurement was supposed to be a result of an experiment gone all wrong. However this scene was never shot, maybe because the film was getting long. My father went around with a disfigured face without the viewer receiving any explanation and to my mind this was a major flaw in an otherwise good suspense film. A major highlight of the film was Gajanan Jagirdar in a double role. 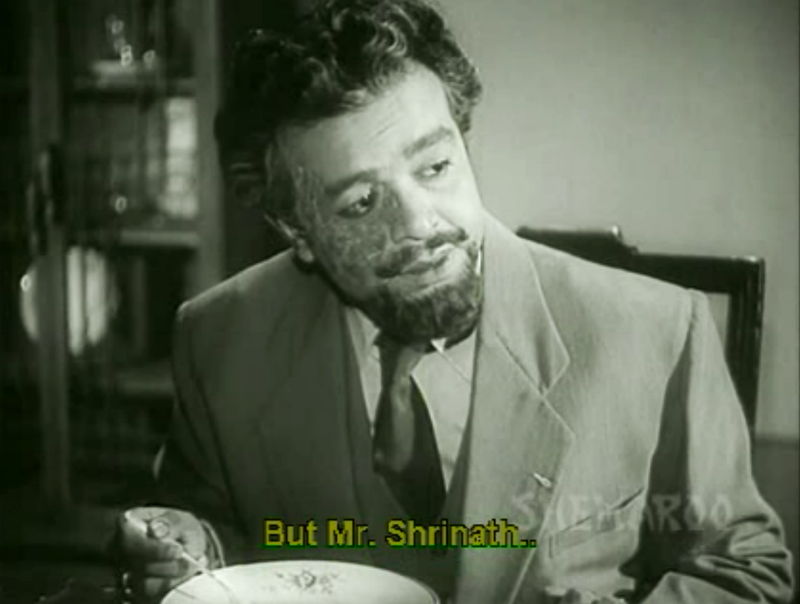 This actor has almost been forgotten, he is hardly talked about or even mentioned by anyone. He was a wonderful actor, a natural performer. You never felt he was acting. While watching this film I almost forgot that I was watching the same actor in both the roles. He was brilliant and to a great extent he carries the film on his shoulders. After the film released my brother and all the children from the Bimal Roy Productions family used to play the Kaali Chaya game. One of the kids would don the garb of Kaali Chaya. No single person played the role of Kaali Chaya, whoever was free would be made to wear the clothes of Kaali Chaya so sometimes it was the assistant cameraman and at other times it was one of the assistant directors. 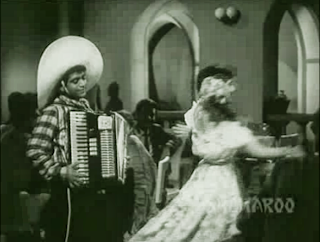 The film has few songs, as a result the songs do not slow down the film. While watching the film again I was happy to see the piano accordion in one of the songs. A common sight those days, but now like so many other musical instruments, it has almost disappeared, thanks to the synthesizer. Those days many musicians were needed for a song recording, I remember my father often said that he had difficulty finding a place to park his car whenever a song was being recorded at a studio. Nowadays very few musicians are needed, most of the recording studios are quite small. I once read that Farah Khan had requested Pyarelal of the famous Laxmikant-Pyarelal duo to compose a song for one of her films. Pyarelal wanted to record the song the old fashioned way with a proper orchestra and Farah Khan had a tough time finding a recording studio large enough to fit all the members of the orchestra. I did mention in one of my earlier posts that Bimal Roy offered my father a chance to act in his films after seeing his performance in a play. Roy, however, asked my father to write to him, for he said back in Bombay it was quite likely he would forget and besides he also wanted dad to give his address. My father eagerly wrote to Roy taking care to mention his address. Days passed by but there was no response from Roy. 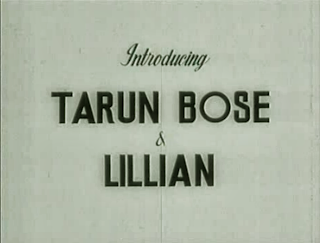 By this time the news had spread like wild fire in Nagpur that dad had been offered a film by Bimal Roy. 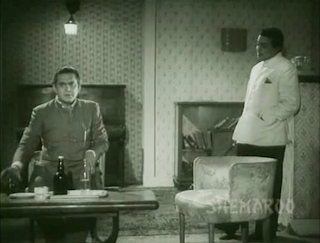 People started taunting him with snide remarks, “So when is Bimal Roy calling you to Bombay?” My mother used to say that my father almost became a recluse; apart from going to office,he stopped stepping out of the home. Then one fine day, dad received a call from the principal of St.Francis School. As I mentioned in my earlier post it was in aid of the college building fund of this school that dad and his friends had staged the play. When my father met the principal, the principal handed him a letter from Bimal Roy. It so happened that Roy not having received any letter from my father and not knowing how to contact my father decided to write to the principal. Thankfully Roy had the address of the school, after all the invitation to him for being the chief guest went from this school. My father was very happy but one thought bothered him, why didn’t Bimalda (that was how he addressed Bimal Roy) get my letter? 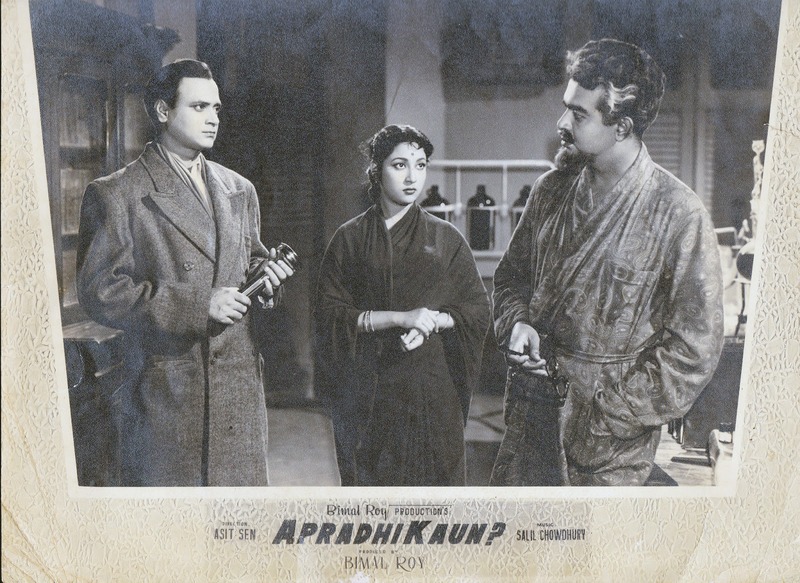 Much later he learned that the culprits were Bimal Roy’s assistants, one of them being Raghunath Jhalani who wrote the screenplay of Apradhi Kaun. 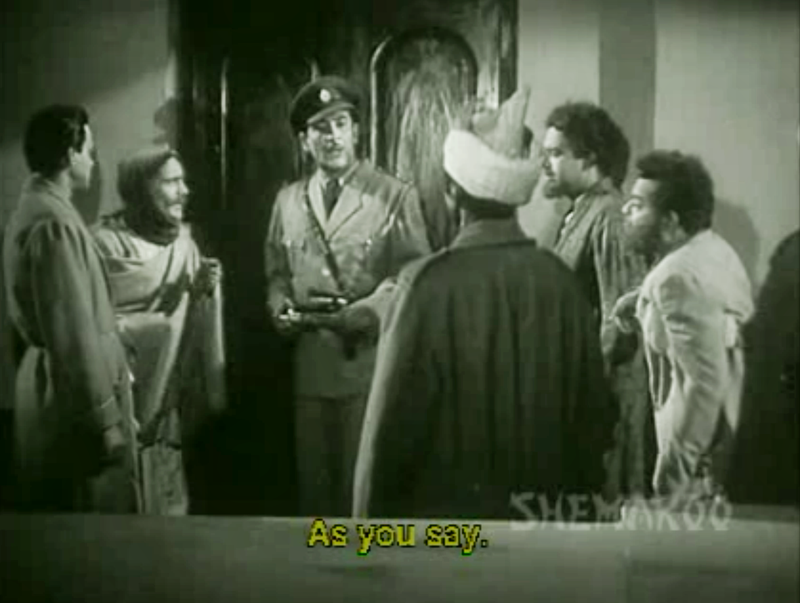 Jhalani who later directed such hit films like Aaya Sawan Jhoom Ke, Aaye Din Bahar Ke, and Uljhan laughingly told my father that they had torn the letter. They thought my father was one those numerous wannbe actors who used to flood Bimal Roy Productions with letters pleading to meet Mr Roy. They did not know Roy had actually called my father. Later on in life my father and Raghunath Jhalani ended being very good friends. He was quite a nice person, he often came over and enjoyed my mum's cooking. My father had made quite an impression on Roy who did not forget him. Incidentally when Dilip Kumar first met my father he said in fluent Bengali ,” Bimalda has been talking a lot about you.” It seems Roy used to tell everyone I have seen this actor in Nagpur, he is good. When my father came to Bombay for his screen test (his test scene was a scene from Apradhi Kaun), he met with an accident and badly hurt his shoulder. This injury was to haunt him every time he did a fight scene. Nobody in the industry knew about this injury- he had been silent about this injury-but every time he came home after a fight sequence, my mother saw the pain he experienced. 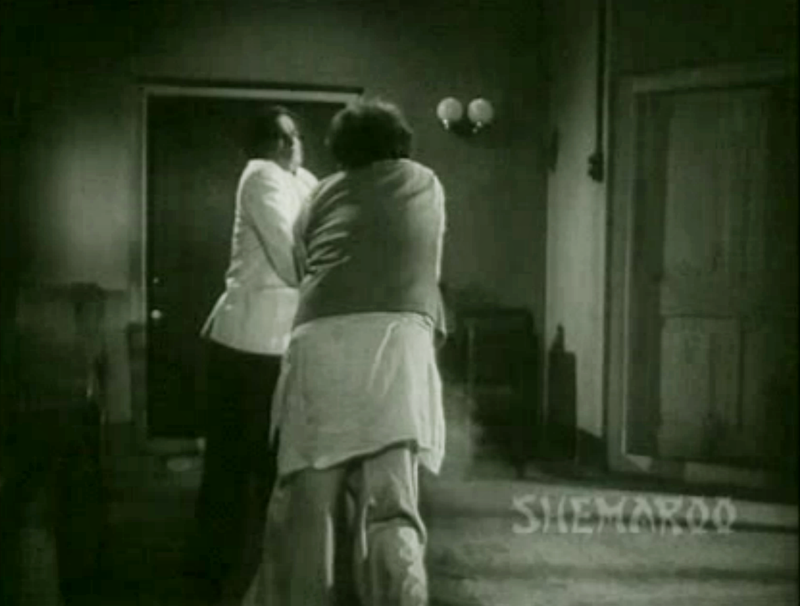 Once fight composer Shetty was very pleased with the way my father had done a fight scene. He told dad, “Aap bahut achha fight karte hain, main aapke liye ek achha fight scene compose karoonga” (You fight so well I will compose a nice fight scene) my father smiled but silently thought --- 'Please no!'. He kept silent because he did not want any one to know about this weakness after all he loved playing the villain and that is what I will be talking about in my next post which will be about Benazir. Once again though there will be a bit of a gap for my food blog is frowning , I haven’t posted a recipe for quite sometime so please bear with me. In the meanwhile for those of you who are interested, I found Apradhi Kaun on You Tube, click here if you would like to see it online. This sounds to be a good mystery film! Thanks for the interesting anecdotes Shilpi! 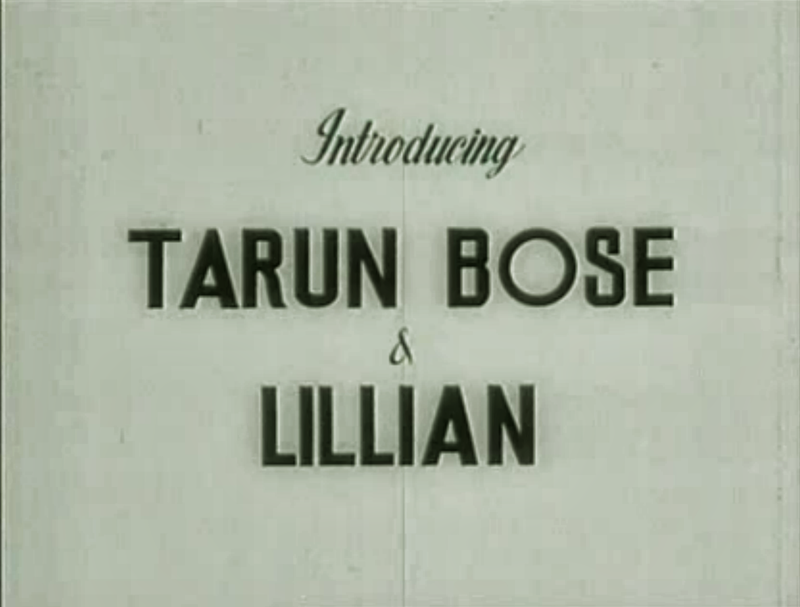 So Dilip Kumar could speak Bangla? I didn't know that. Thanks Harvey. You know something, before I start a post I always agonize over one thing and that is am I making it too long but whenever I find that all of you have found it interesting, I feel satisfied, so thank you once again. And yes, your father as the doctor didn't look like a first time film actor. I must confess here that when I watch films online I usually fast forward the credits, and so didn't know that this was his first film. 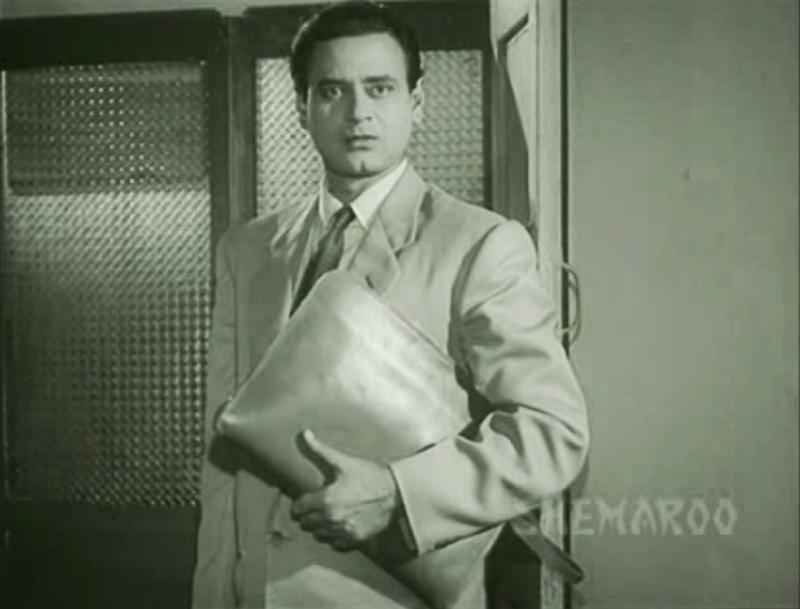 Very interesting to know that Dilip Kumar can speak Bengali, that too fluently. Bet you all enjoyed playing Kali Chhaya. What fun. *phew* that was a near miss with the letter being torn. Thanks Shilpi. Very well written as always. Thanks Pacifist. You are right, even I can usually guess who the murderer is. By the way, I wasn't born then so it was my brother and the other children who played Kaali Chaya. Another lovely post from you, Shilpi. I really enjoy the anecdotes you share with us. I was just thinking - suppose Bimal Roy had not bothered to write to the school at all, thinking that your dad wasn't interested! After all, he was expecting your dad to take the initiative! And it is not like nowadays, where you can shoot out an e-mail in a few minutes. Thinking of this, I feel the action of Raghunath Jhalani and the other person is grossly irresponsible. 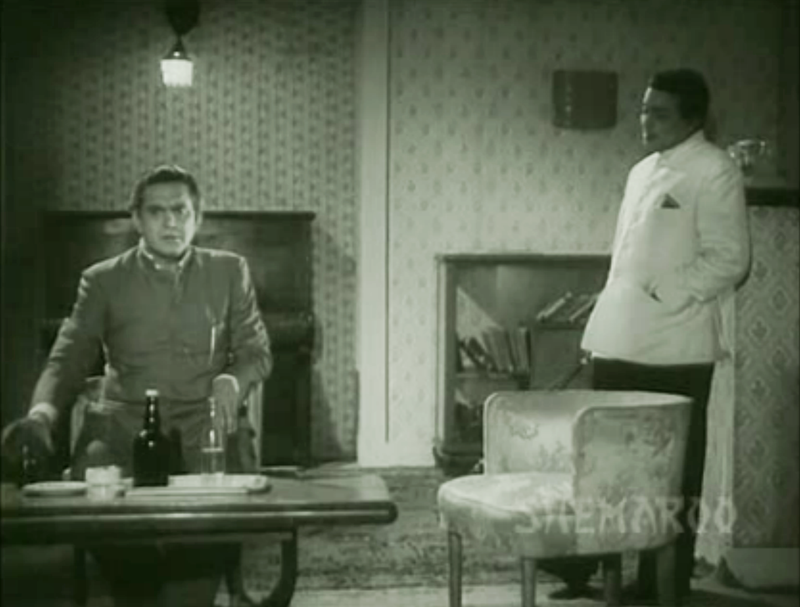 The letter was written to Bimal Roy - whoever it came from, it should have been handed over to him. And he could decide what he did with it. Ok, luckily, it all turned out well and later on your father even became good friends with Raghunath Jhilani but it could so easily have been totally otherwise. Anyway, it was just a thought! Thanks Raja, well that bit about the torn letter, I remember my mum telling me about it and what is more she too said it with a laugh. Frankly she appeared to be amused by the incident. I guess it didn't matter to my parents considering it all turned out well and both dad and Mr. Jhalani ended up being very good friends. Always enjoy your posts and the trivia you post, Shilpi, and this one's no exception. Phew! What an almost-miss for your father! It's almost as if Daane daane pe likha hai khaanewale ka naam, no? 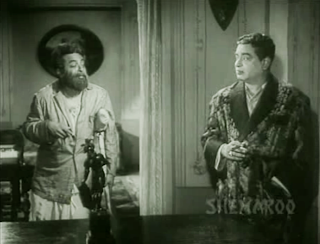 Nice to hear that Bimal Roy was so impressed with your father's acting that he mentioned it to others, and that Dilip Kumar could speak fluent Bengali. Thank you for this trip down your memory lane. Thanks Anu, yes you are right about Daane daane pe likha hai khaanewale ka naam. Ultimately what is in our destiny will happen no matter what. I have seen the film once in the movie hall, when we were college students, and then on a VCD, but many nuances had been obliterated from the memory. Thanks for a very pleasant and detailed refresher, with a bunch of trivia thrown in as a bonus. Thank you, glad you liked it. Yes the film is quite nice. Shilpi, your blog posts are always so engrossing. I haven't seen Apradhi Kaun yet (though I have read reviews of it), but now I must get hold of it. Glad you liked it Madhu. If you want me to then I will definitely review Anokhi Raat. Oh, don't think I'm pushing you into it. Just if you have anything interesting to share about the film. It was one of the first films that I reviewed on my blog, and I was really struck by it. The story, of course, and the acting - your father's, especially. 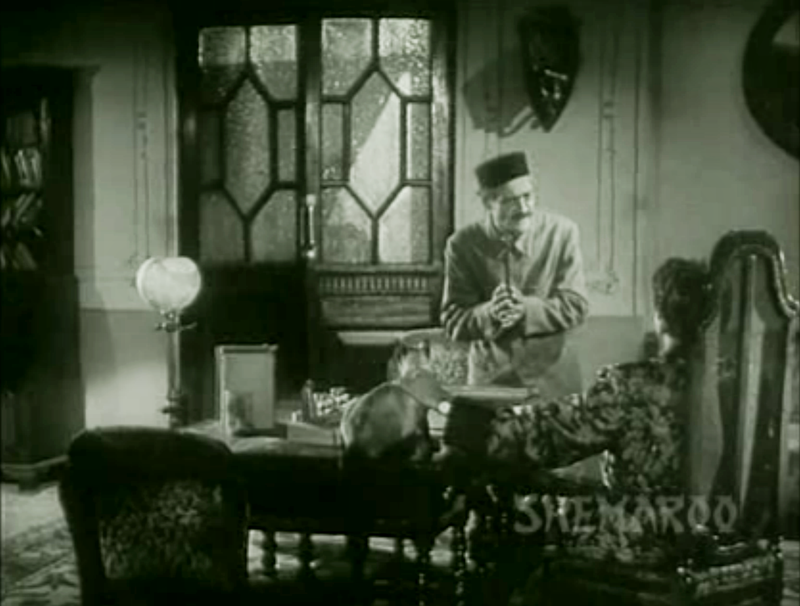 I was amazed at how a man, whom I liked so much in Anupama or Sujata, could be so repulsive in Anokhi Raat. Superb acting. Of course not, you are not pushing me.There will always be some incident or the other connected to every film. It is just that I do get a bit unsure, after all these are sweet memories for me but others might find it boring, but the moment I get such positive response I am raring to go. 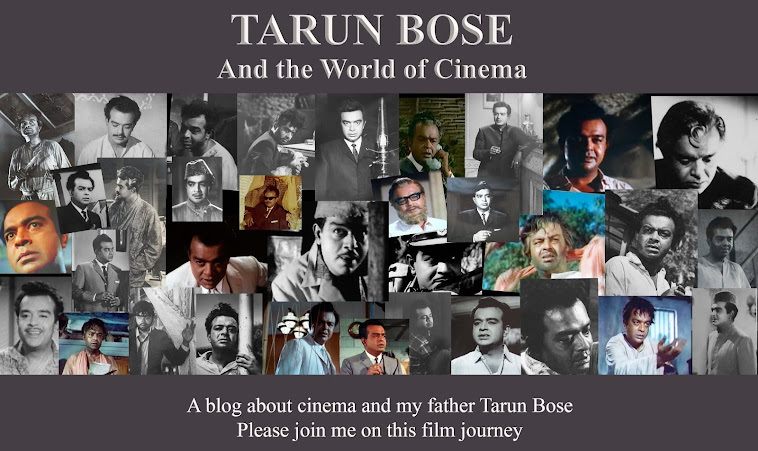 My what a walk down the memory lane , loved and njoyed the walk actually i would rather say walk the talk, though thru the blog. As you write am impressed with the skill you have in narrating the incidents. Shilpi ji, Sorry for a post maybe out of context. Was watching some youtube videos of your dad, Mr Tarun Bose and the song from Anupama , Dheere Dheere Machal made a lasting impression. I read more about your dad , he was a talented actor. What happened to Surekha Pandit? Is she still there? Welcome to my blog, I am sorry but I have no idea about what happened to Surekha Pandit. The friendship between your dad and Raghunath Jhalani, despite the near unfortunate incident, is like a tale! Or rather like one of those cracking screenplays! Please tell us about both of them more. Thanks. Sorry for the late reply, hope you are reading this. Yes my father and Jhalani ended up being good friends. An interesting thing about Jhalani was that he could fly a plane but had never learnt to ride a bicycle.